A new Tennis club started this term (Summer 2016) with Mrs Burfoot. 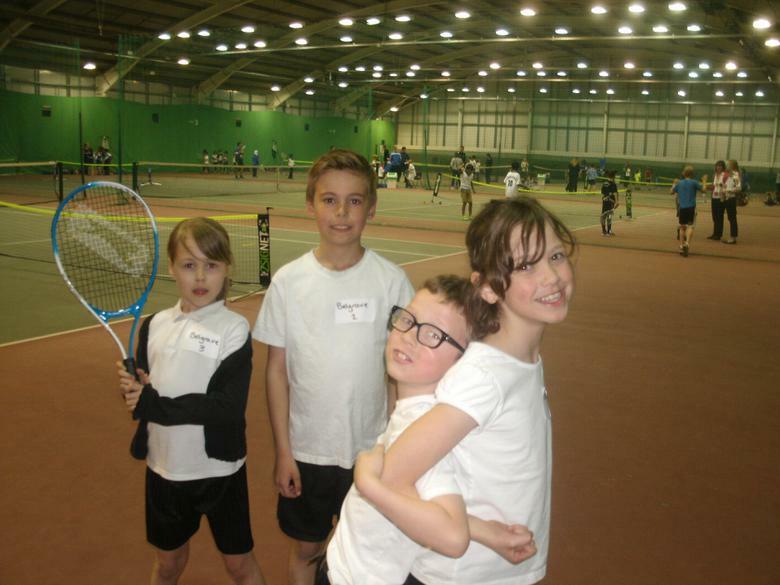 After only a few sessions, some of the children were able to take part in a mini-tennis tournament organised by Leicester City School Sports Partnership. Unfortunately, only a small team of 4 children were able to take part in this event but we are hopeful that in the next academic year we will have the opportunity to take part in more events so more of our children can compete against other schools. I am pleased to say that although we hadn't had much practice beforehand, the team came third in their group at the tournament and got through to the third-place play offs! In the after-school club we will all continue to work on our basic ball skills, how to use a racket well, our general fitness, and of course have lots of fun through a variety of games!